Roger F. Stebbins, Jr., CPA - Manzi, Pino & Company, P.C. 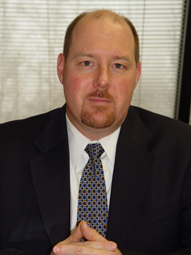 Roger F. Stebbins, Jr. has been a partner since 1996. He provides accounting, auditing, tax and management advisory services to a wide variety of industry groups including healthcare, construction, freight forwarding, not-for-profit and various other service areas. Mr. Stebbins has a strong planning background that supports the firm's forecast and projection services, business plan preparation and client strategic planning services. Mr. Stebbins earned a BS degree in accounting from Hofstra University and a MBA degree from Baruch College . He is a member of the American Institute of Certified Public Accountants. Mr. Stebbins also has a security series 6 license as an independent registered representative to provide financial services and has his New York State insurance license.